Senators presented a surge of resolutions and bills at the Wed., Feb. 17 Associated Students Senate meeting in an attempt to better engage students in the community. The legislation comes in response to undesirable complacency with policy and the lack of faith that some populations have in the Association. 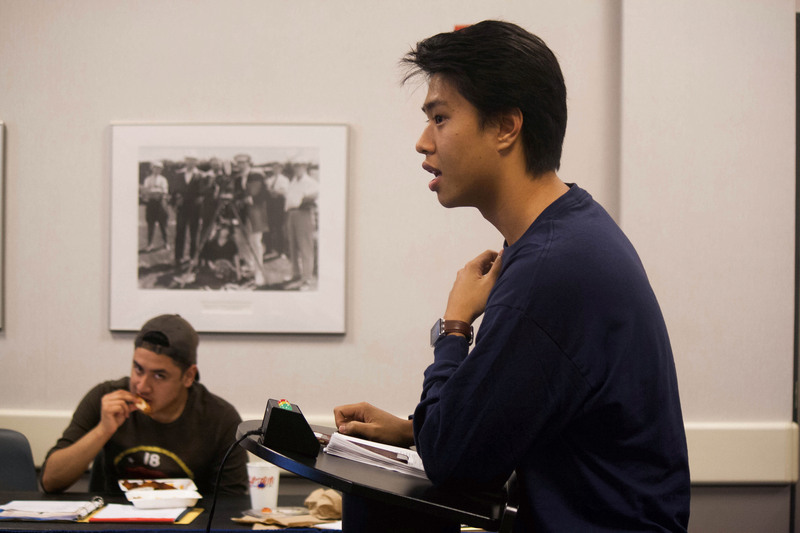 On-Campus Senator and second-year political science major Jose Magaña introduced five bills at the meeting, including A Resolution to Promote Feedback on the Association and A Resolution to Promote a More Inclusive UCSB Campus. Magaña believes that too many students in the community have little to no confidence in the Senate and the Association as a whole — and he is not the only one who believes so. Previously, other senators have stated that students have no confidence in them. This is problematic due to the nature of the legislative body as students who are elected to be public servants for their constituents. The resolution directs the Office of the Internal Vice President to create an anonymous survey asking students to provide evaluations of the current senate as a group and as individuals. Some senators are concerned that this may provide a space for people to make derogatory comments toward them. 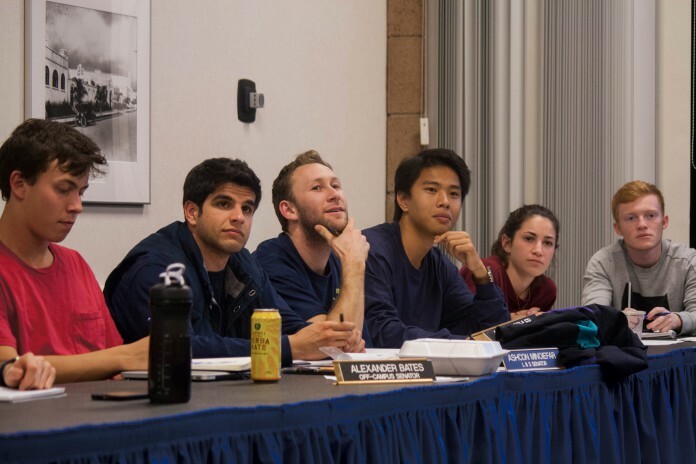 A Resolution to Promote a More Inclusive UCSB Campus works off of A.S.’s promise to represent all groups on campus while pioneering new strategies in the realm of student government. Magaña cited studies that have demonstrated a correlation between gender inclusiveness on campus and overall student success, again citing that LGBTQ+ populations on campus are unhappy with the Association. The resolution would ask the whole campus to download new software to indicate preferred names and gender pronouns on all campus records, including UCSB Access cards. Magaña’s work almost perfectly aligns with a last minute resolution presented by Off-Campus Senator and third-year history of public policy major Jerel Constantino. A Resolution to Create a Group Project to Create a Petitioning Service for Associated Students will investigate the possibility of hosting a website where students can circulate petitions about what they would like to see changed on campus. Modeled after the White House’s’ “We the People” website, Constantino hopes that this system will engage students in a more official way than arguments via Facebook groups. The petition website would also employ policy analysts within the Association to examine the feasibility of proposed changes. At the moment, Constantino hopes to use an open-source interface that resembles Rochester Institute of Technology’s PawPrints, which categorizes petitions by subject matter and allows for easy sharing capabilities on social media. “Associated Students was established to, and we are elected to, respond to the calls of the students,” Constantino wrote in an email to The Bottom Line. “Over the past few years, party politics and a few wedge issues have gotten in the way of acting on the issues that most students care about. In my opinion, we should prioritize responding to issues that students actually care about, and not just discussion from a niche of students who happen to be the loudest.” All resolutions presented were tabled for a week. Senate passed A Resolution in Support of Bike Safety, changing the language so that it did not include anything on the Idaho stop law, which would request that local legislators change laws so that bikers would yield, rather than stop at stop signs. The motion passed with a vote of 17-0-2.